It was excellent from the moment I arrived. The staff is outstanding, extremely professional. The dental hygienist dida great job & the dentist Dr. Santa-Cruz was perfect. And overall, a perfect visit. It was excellent from the moment I arrived. The staff is outstanding, extremely professional. The dental hygienist did a great job & the dentist Dr. Santa-Cruz was perfect. And overall,a perfect visit. Excellent. Dr. Santa-Cruz is friendly and professional. I was a little worried when our previous dentist sold the practicebut I'm completely satisfied! Excellent. Dr. Santa-Cruz is friendly and professional. I was a little worried when our previous dentist sold the practice but I'm completely satisfied! 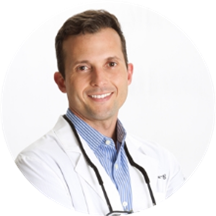 Dr. Raymond Santa-Cruz is a native Floridian, born and raised in Miami Lakes. He received his undergraduate education at the United States Naval Academy, earning a BS in Systems Engineering. Upon graduation from Annapolis, Dr. Santa-Cruz completed flight school and earned his wings as a Naval Flight Officer. After almost a decade of honorable military service and several overseas deployments, he resigned his active duty commission and enrolled at the University of Mississippi School of Dentistry. In dental school, Dr. Santa-Cruz won several academic awards, was elected an Ethics Committee member by his peers, and served as president of a Student Dental Association. Upon graduation, he moved back to his home state and begun his practice of General Dentistry in the Tampa area. Dr. Santa-Cruz continues to serve his nation as a Commander in the United States Naval Reserves Dental Corps, while continually seeking to improve himself by taking as much Continuing Dental Education as possible. He enjoys competing in triathlons, volunteering in the community, and spending time with his wife Christina and their son, Reeves. Very cordial and knowledgeable staff. It was a good experience. Appointment was timely and patient care courteous, informative, and professional.